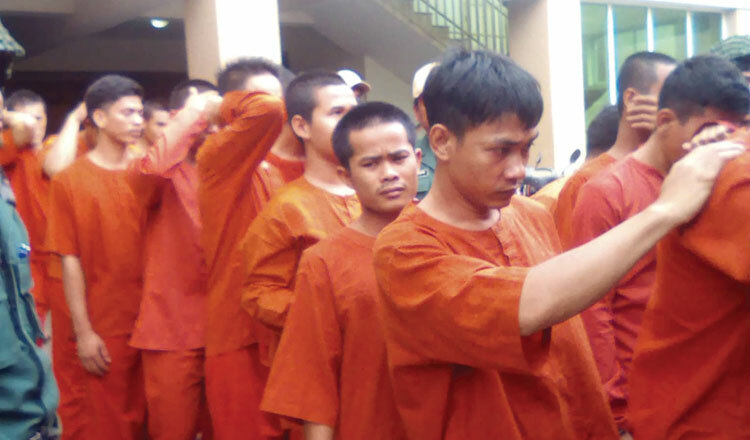 Phnom Penh Municipal Court yesterday convicted two people and sentenced them to 21 years in prison each for possessing and trafficking more than two kilograms of methamphetamine last year. Judge Heng Kesaror said 24-year-old Vin Chanthy and his girlfriend 22-year-old Phan Pisey were guilty of drug possession and trafficking, sentenced them to prison, and told them to pay about $10,000 each as a fine. Judge Kesaror said the couple was arrested in July last year by the Interior Ministry’s anti-drug police department in Dangkor district. He said that on July 15, Mr Chanthy sold the drugs to an undercover police officer and was arrested for it shortly after. Judge Kesaror said police confiscated 999.66 kilograms of methamphetamine, one cell phone and one motorbike from Mr Chanthy. He added that Mr Chanthy confessed that his girlfriend was an accomplice and police also arrested her at her home in the district. During his trial, Mr Chanthy told the court that the drugs belonged to a man only known as Ya. He said that on the day of the arrest, Mr Ya paid him $50 to deliver the drugs to the undercover police officer. Ms Pisey outside of the courtroom yesterday told reporters that the sentence was unjust and that she was never an accomplice. She said that the drugs seized from her room belonged to Mr Chanthy and that they were brought to be hidden. She said that she was too afraid to report the drugs to police.